4.68 out of 5 based on 445 reviews. 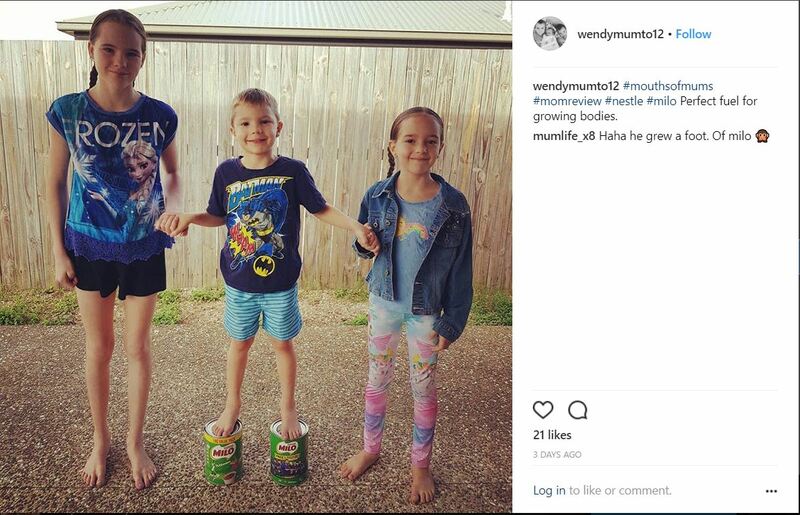 As mums, meeting the daily nutritional needs of our children is so important. There is nothing worse than a child who lacks the energy needed to get them through their day. 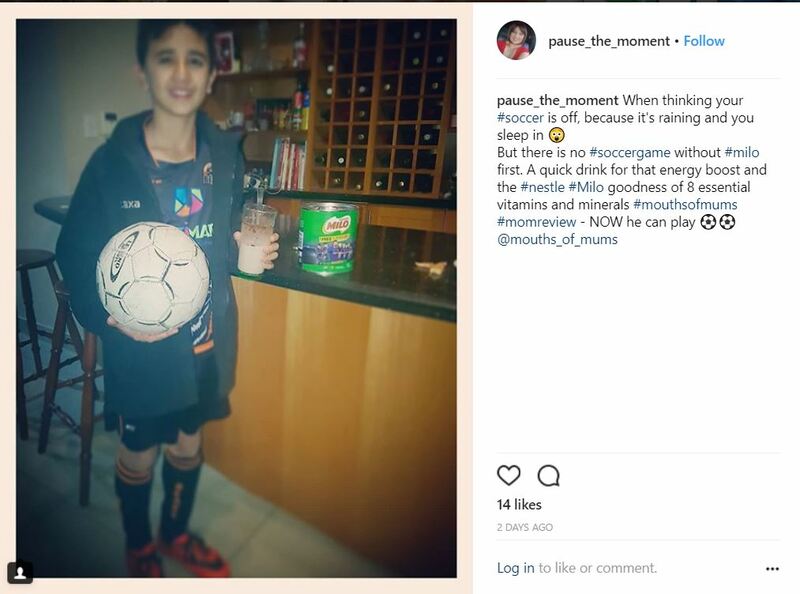 But sometimes finding nutritious, energy boosting drinks that your kids will love can be a bit of a struggle. 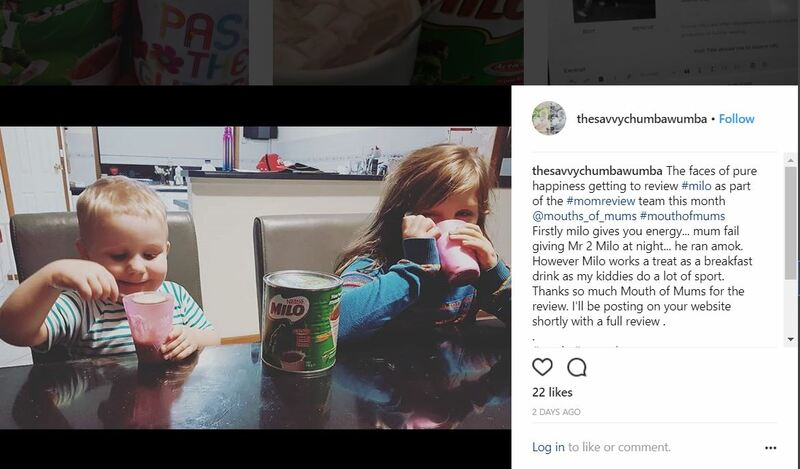 MILO is a nutrient rich, low GI malt powder drink, which gives kids who need a boost, the nourishing energy they need to take on the day. As Mum we are all aware that milk is an essential part of our children’s diet. 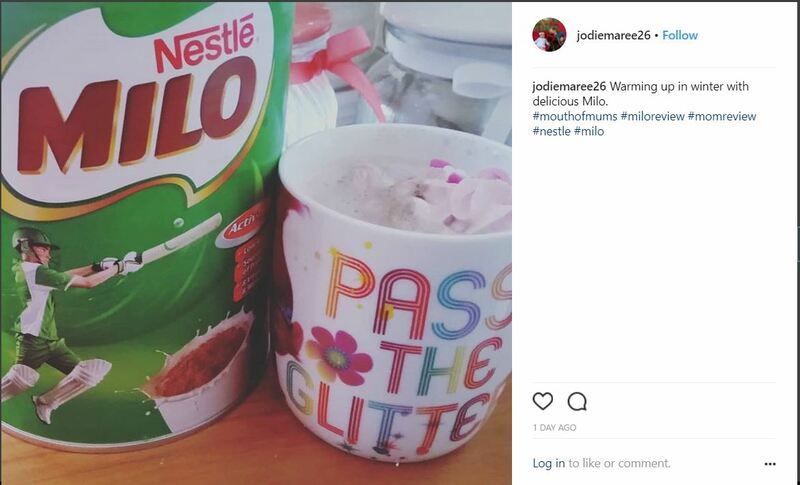 You may be surprised to learn that MILO adds even more nutrients to milk. In fact, MILO adds 32% more protein, 70% more calcium, plus more iron (30% RDI) and more vitamin D (32% RDI). MILO is also low GI to provide sustained energy for active kids. How good is that? 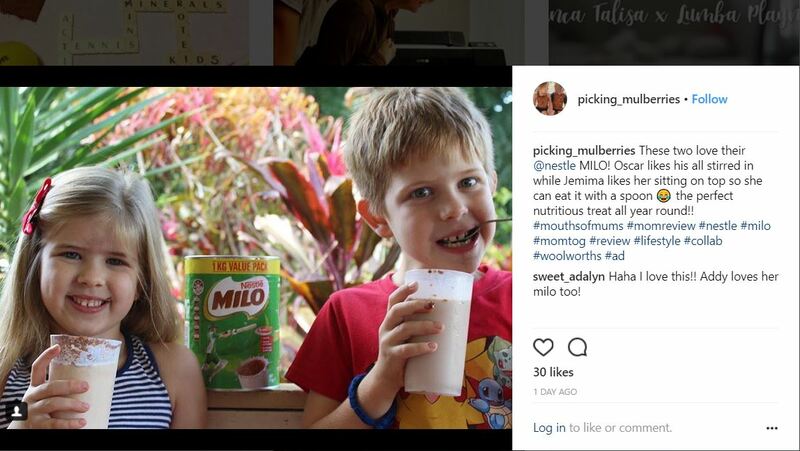 PLUS MILO is made with four simple main ingredients – malt barley, milk powder, sugar and cocoa plus 8 vitamins and minerals (calcium, iron, vitamin B2, B3, B6, B12, C and D). 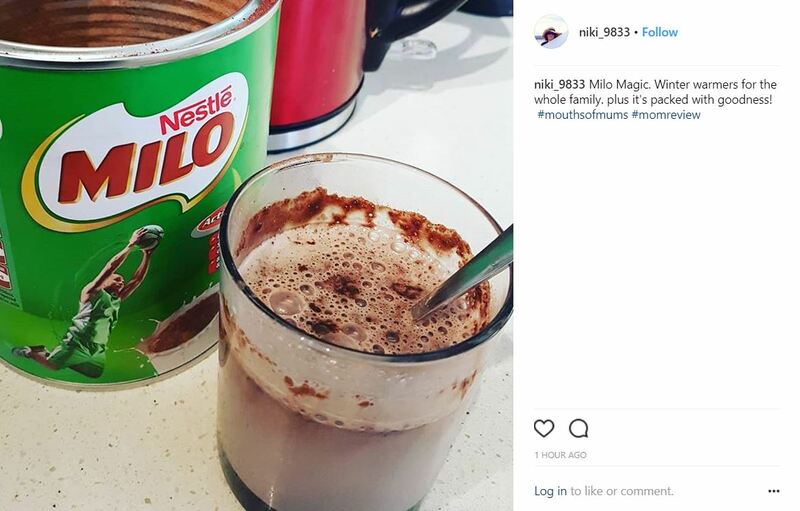 The unique combination of ingredients gives MILO the delicious choc malt taste and crunch that kids love. 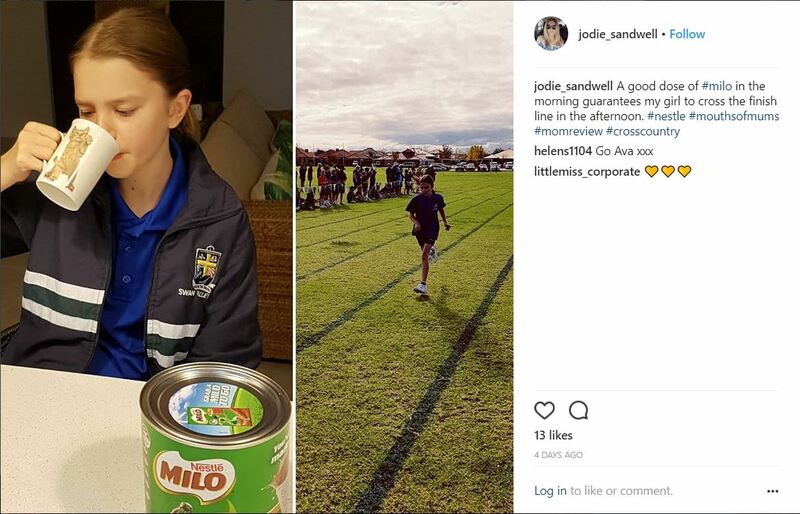 Whether you’re powering up for training for a big game or you’ve just done your best and need a nutritious boost … MILO puts a smile on your face and a spring in your step! 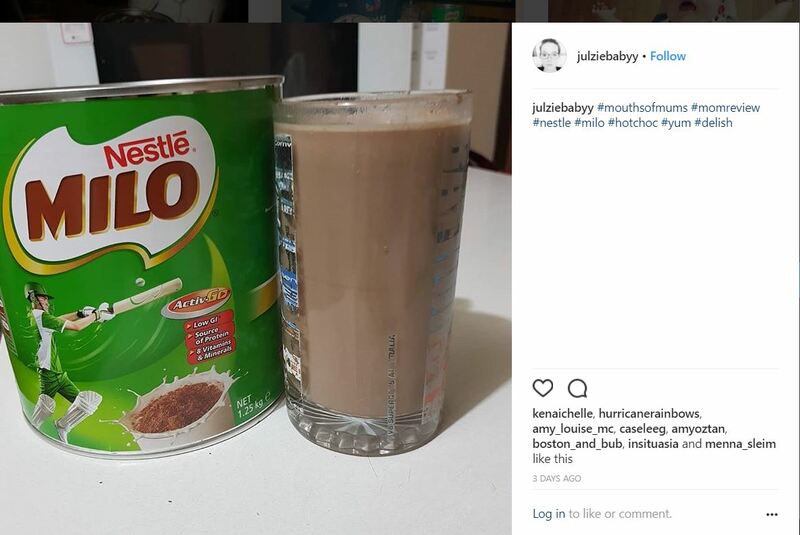 How do you drink your Milo? 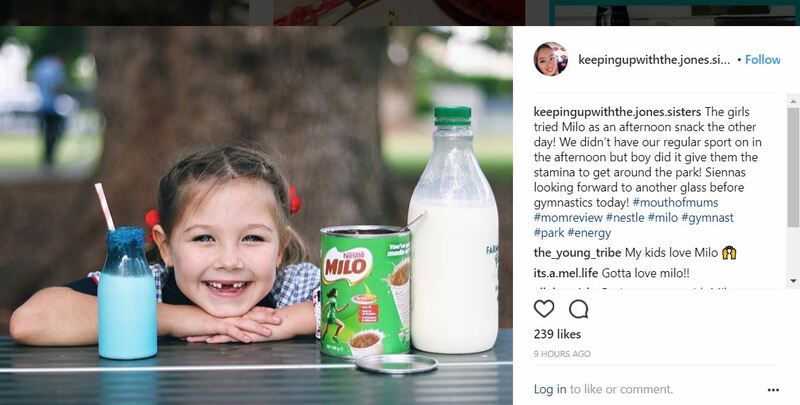 MILO is a great way to encourage children to drink milk and meet daily nutrient needs such as calcium and iron. 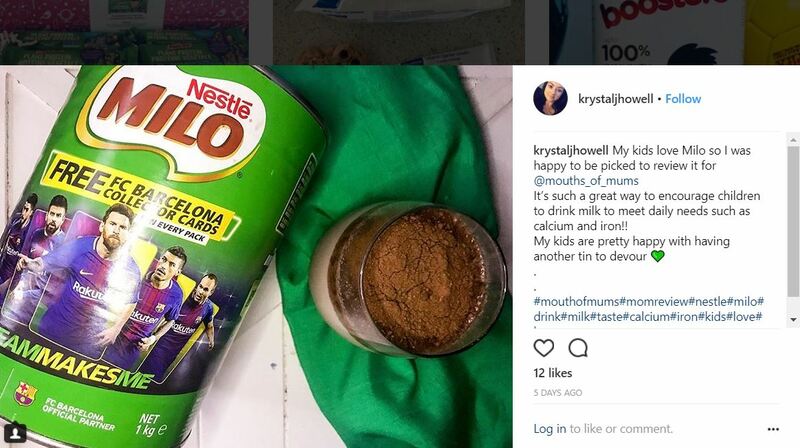 Simply add 3 level teaspoons of MILO to 200ml milk and stir until combined for a delicious, nourishing drink. Serve hot or cold. 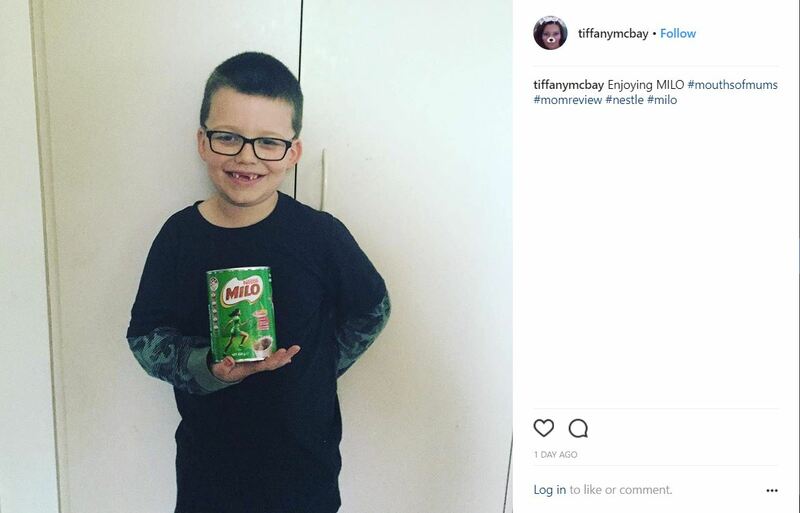 Where can I buy MILO? 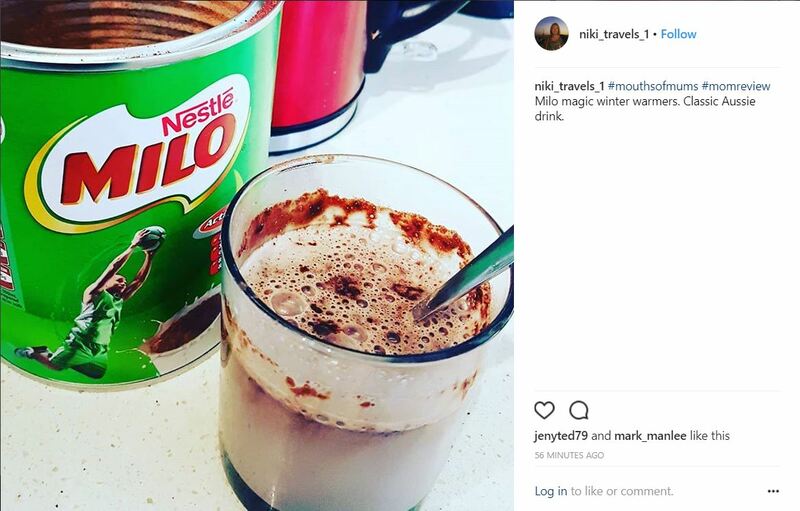 MILO is available in 200gm, 450gm, 750gm, 1kg, 1.1 kg tins from Coles, Woolworths, IGA and Big W. For more information visit www.milo.com.au. What did our MoMs think? it’s best drink . taste ymmmi. best as a treat ???????? We Love Milo! 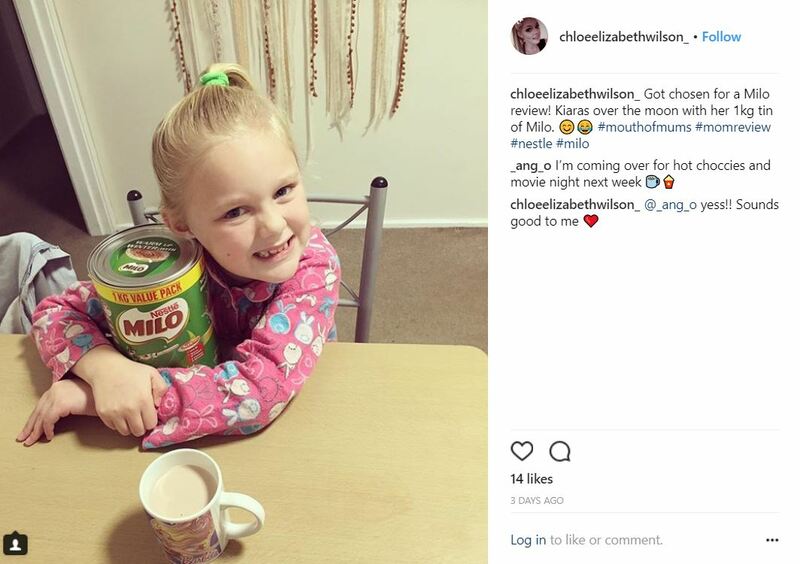 Milo is a fantastic treat for the whole family. 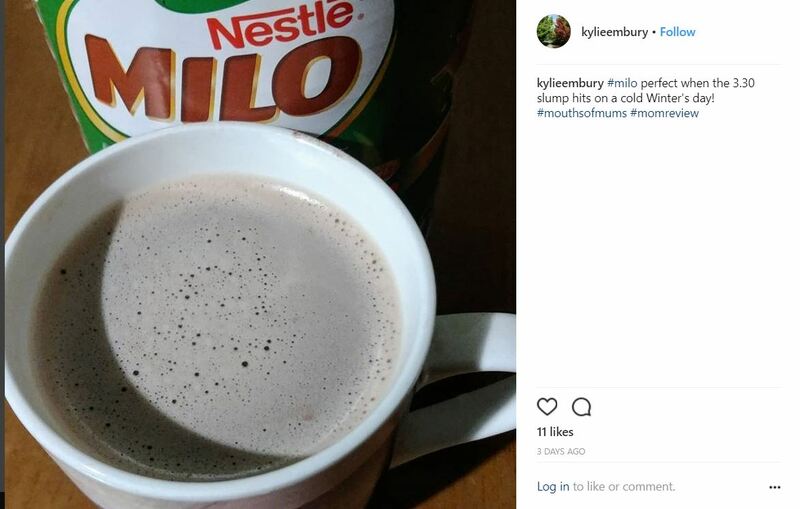 The best thing about Milo is that not only is it delicious its also full of vitamins and minerals. 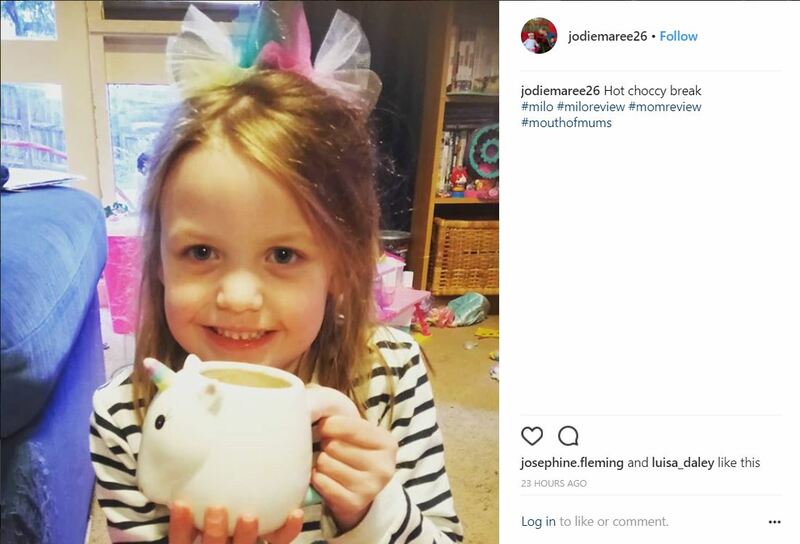 I love that the kids are getting a nutritious and yummy drink that can be enjoyed hot or cold. 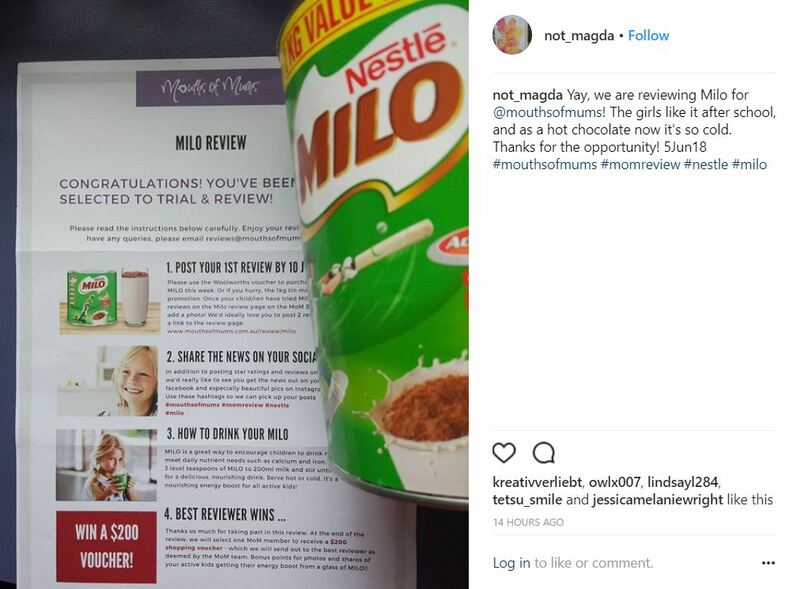 I would rate Milo 10 out of 10. 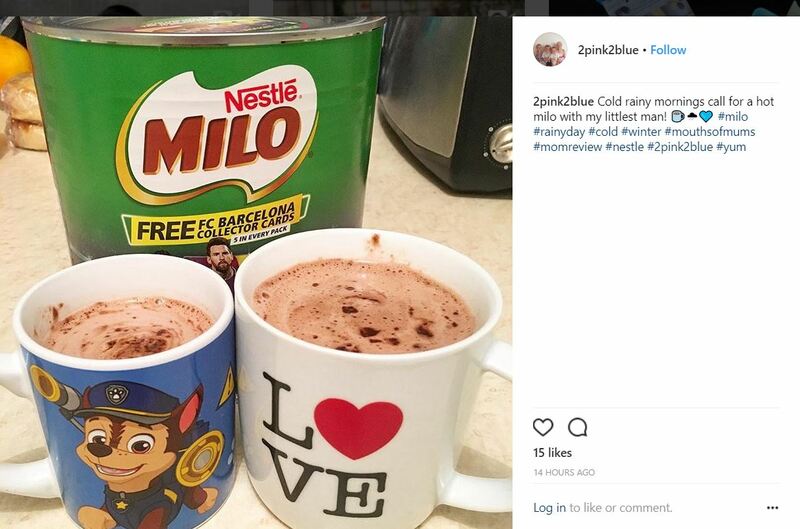 We hadn’t purchased milo in a while in our house but since reviewing the product it will now be a staple in our house. The kids absolutely loved it and I loved experimenting with it. We had hot Milos, cold Milos, milo milkshakes, had it on ice cream, in muffins and made a cake with it. The possibilities are endless and I loved that it was nutritious! 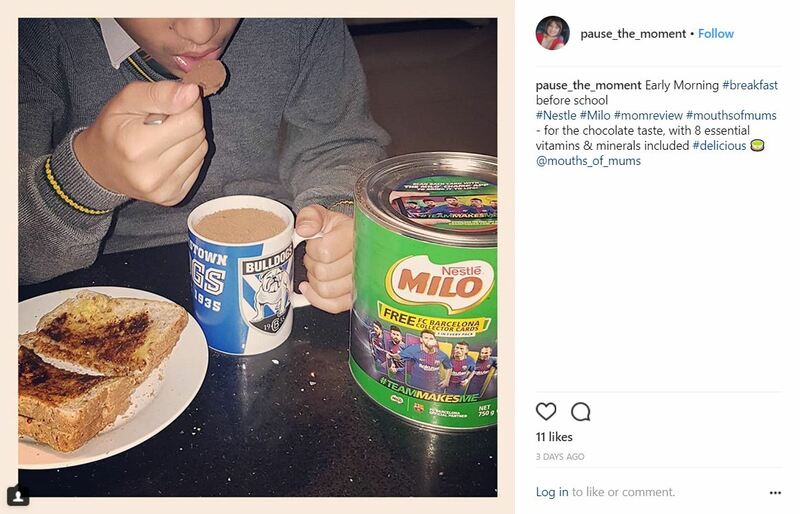 I love that my children are more than happy to enjoy Milo either hot or cold at any time of the day to provide an energy boost and ensure that they are adding to their vitamin and mineral intake. 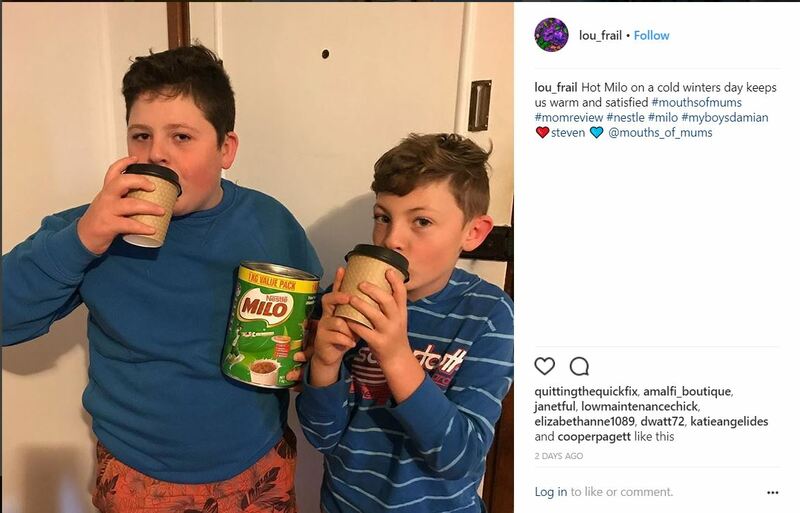 my children love milo either hot or cold. I love that it tastes great and that they are getting lots of good stuff when they drink it. we will continue to buy milo and I hope it will always be a favourite in our household. 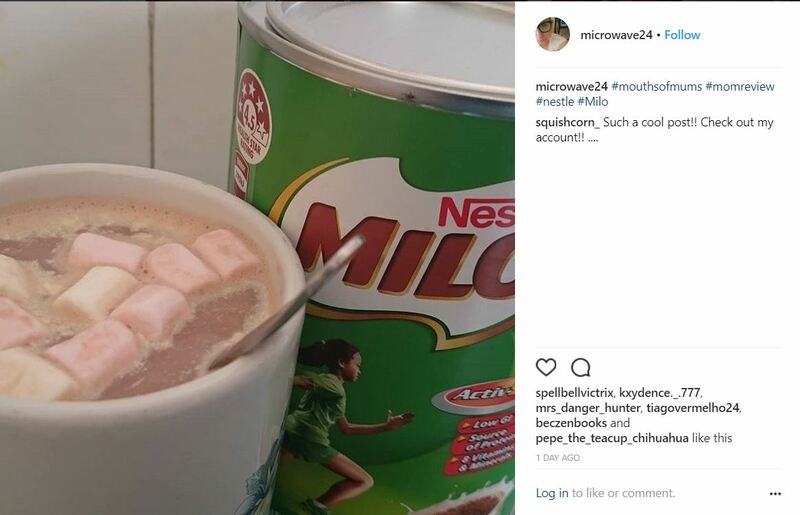 myself and partner also enjoy drinking milo either hot or cold also. I will be recommending it to friends and family. Milo , the kids absolutely loved it. It is easy to use and easy to mix in either hot or cold water. My kids have now decided that it is their go to drink after school and before school. They find it tasty and very enjoyable. 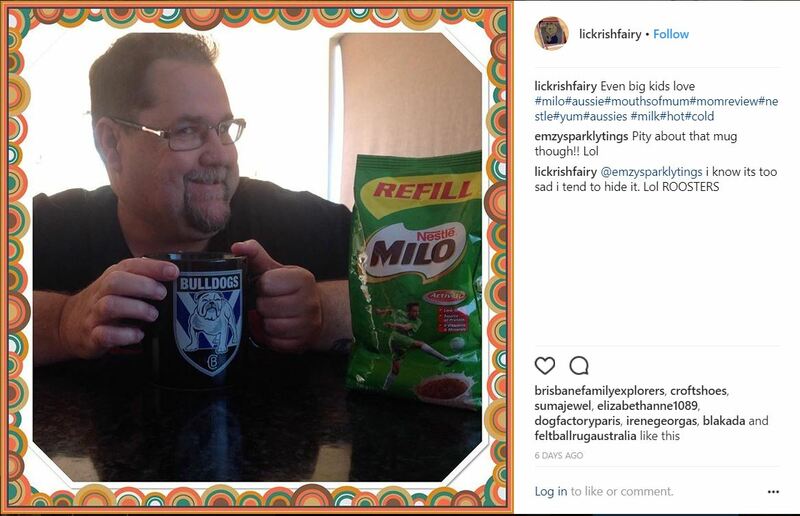 They even tried putting it on their weetbix in the morning. 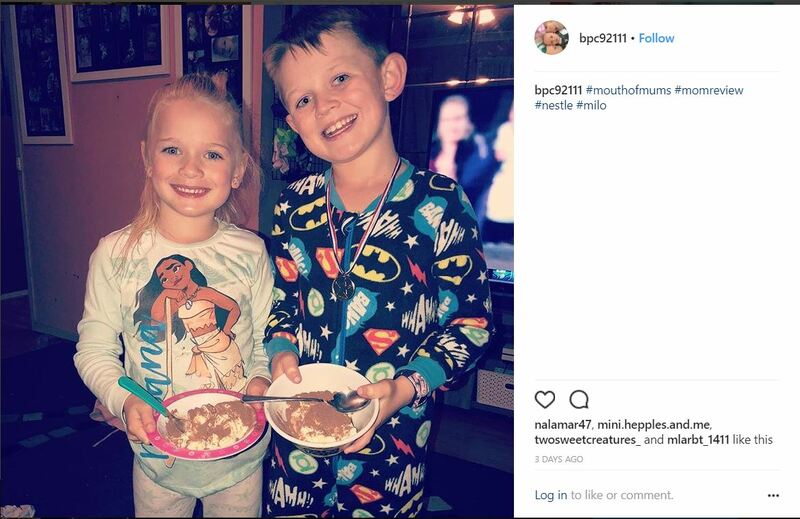 They loved it on their icecreams too. 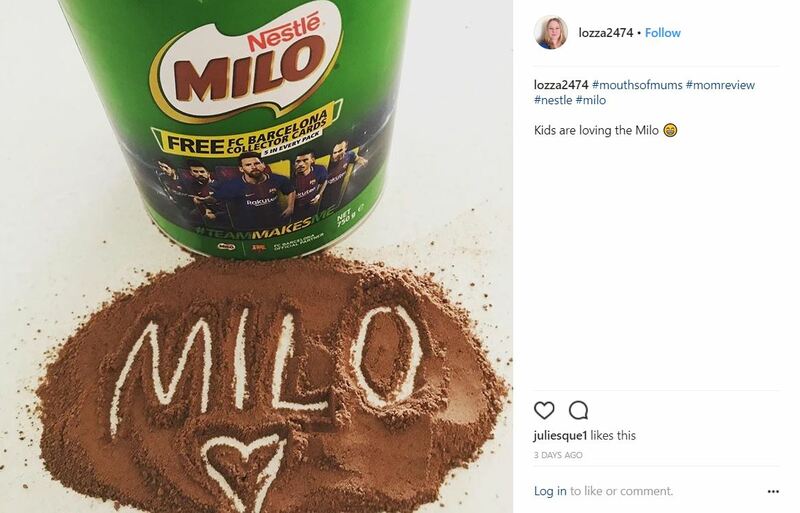 My kids and I are huge fans of Milo. We have it cold or hot, morning or night. 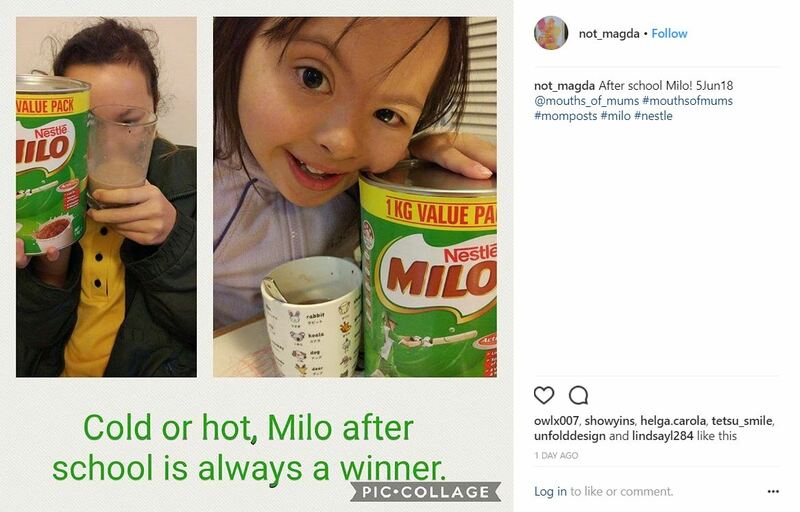 I prefer giving Milo to my kids over a regular chocolate milkshake or hot chocolate, which have zero nutritional benefits. 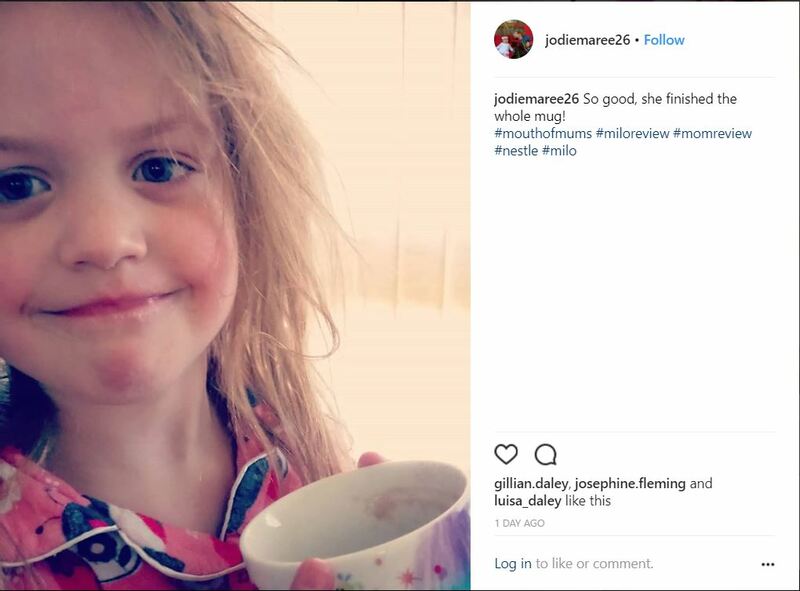 My daughter loves taking her warm Milo along to watch her big brother play soccer on our freezing cold Tasmanian winter mornings. 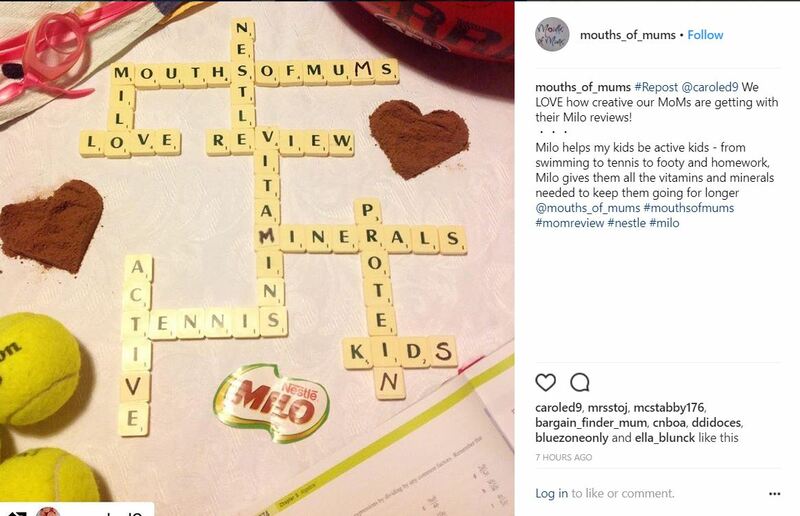 I wouldn’t hesitate to recommend Milo to any parent. Hubby and i have been enjoying this just as much or even more then the kids. 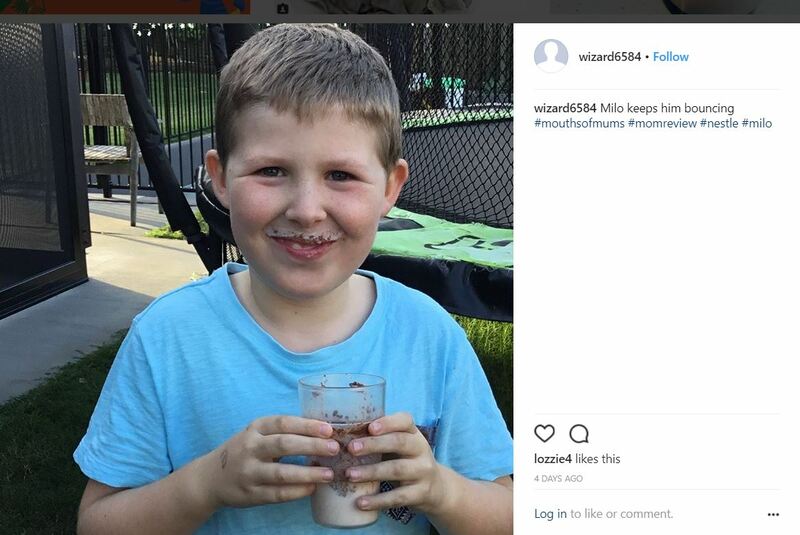 My son loves Milo, he has a cup in hot milk before bed and also during the day sometimes. I feel happy giving it to him knowing that he is getting lots of vitamins and minerals he needs to grow healthy and strong. Milo has been around for years and is still the best. 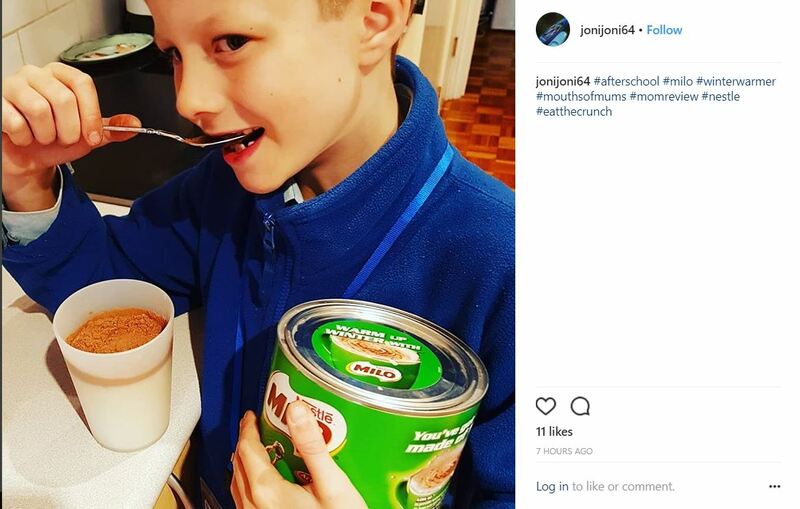 Cold warm on your ice cream or just a spoon full is the many ways Milo can be digested. 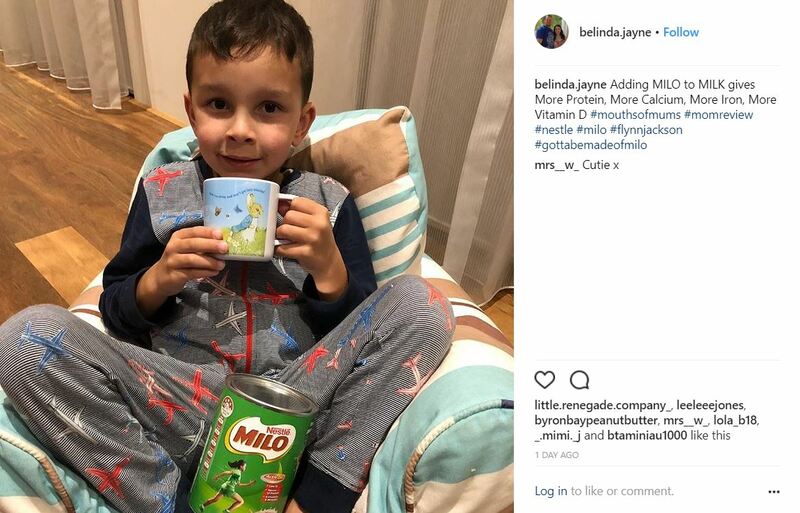 Milo is for any age group especially for a relaxing warm drink before going to bed or for a great start to the day. 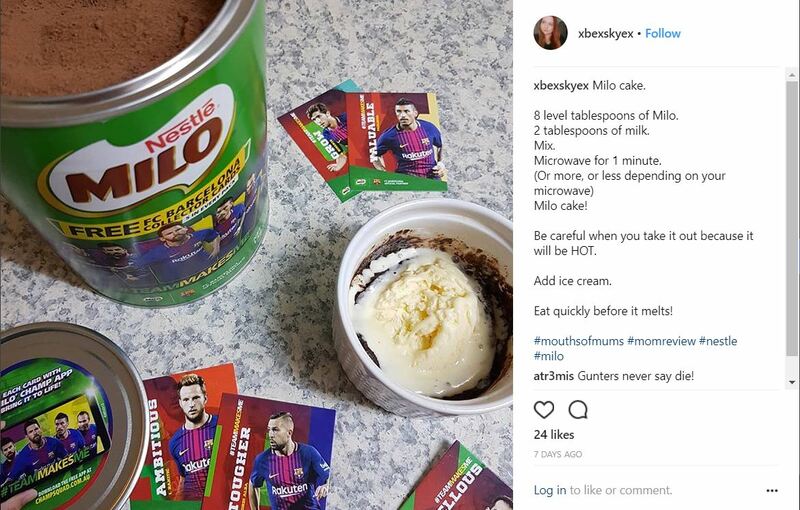 I have even used Milo in my chocolate cakes and the whole family loves it. 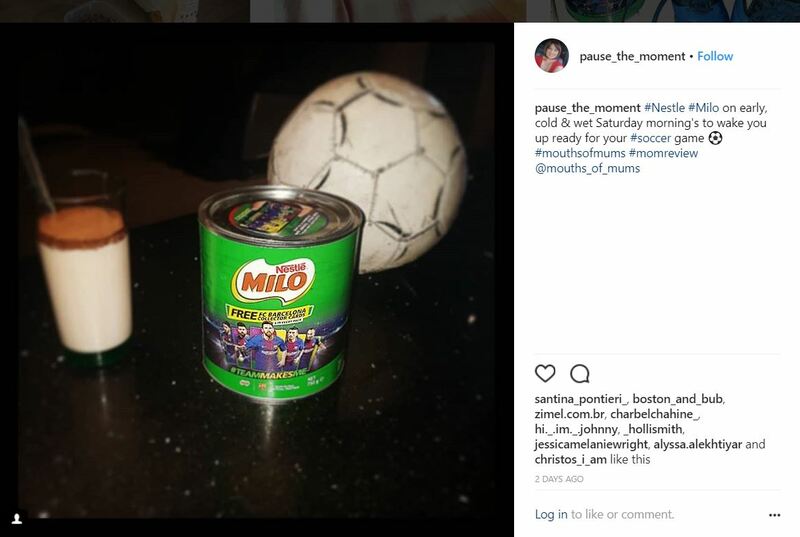 Milo is not expensive and can be purchased in a variety of sizes in a none breakable tin which is always a plus when the little ones rush to get it out of the pantry cupboard. I recently discovered the milo frothyccino, it is amazing. I recommend this to all mums… for mums. Oh I suppose I can share with the kids…! 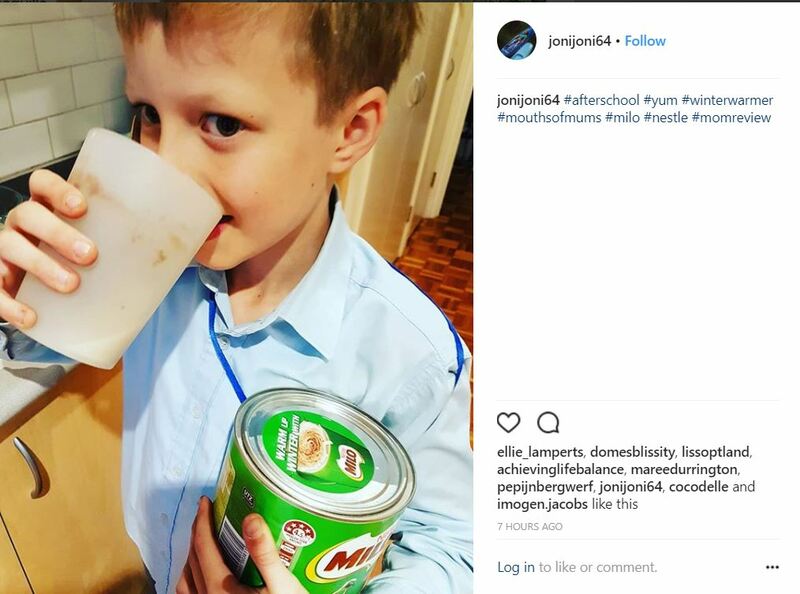 My 11 and 7 year old fight over Milo Powder. They can’t get enough of it. Sometimes I have to hide it to limit their intake as they go nuts over it, admittedly I enjoy it as a treat as well. Try as I might to hide it, they always seem to sniff it out. 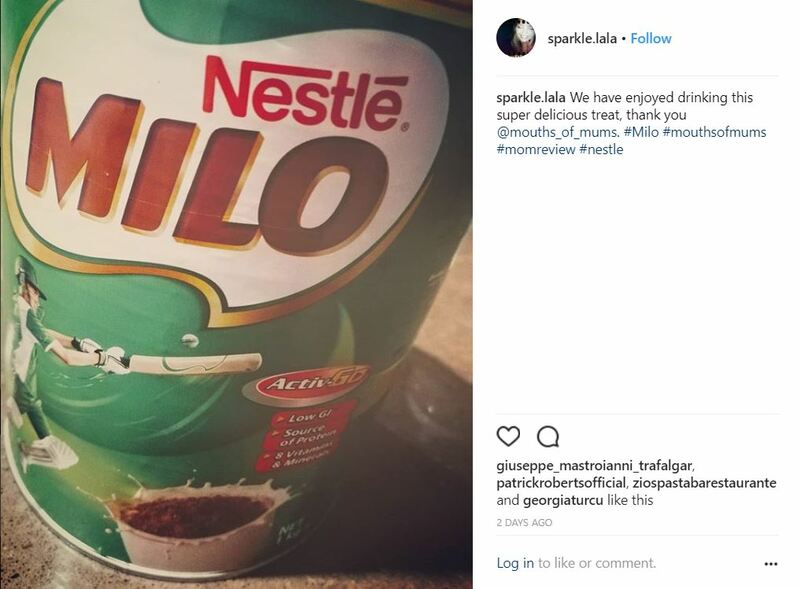 MILO is a long standing, trusted brand name. 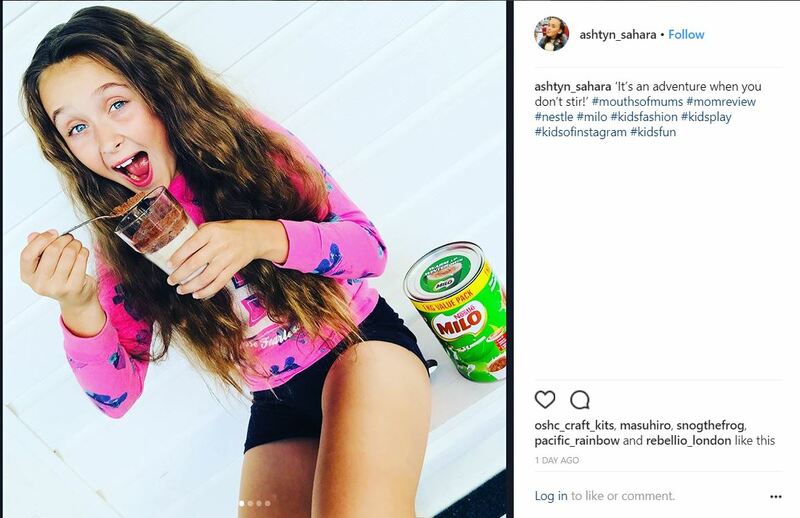 It is a healthy, nutritious drink snack for adults and children, warding off the ‘hungry bugs’ between meals and tastes great when made with either hot or cold milk. It is an ideal product to use in baking and for decoration (and taste) such as on ice cream, custard, trifle, cheese cake, etc. It also is high in...IRON!!! 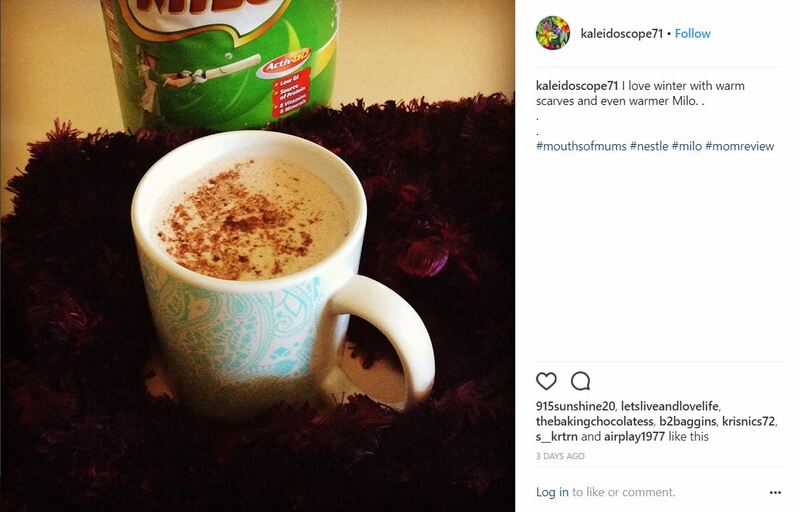 Although this is a special treat, there’s nothing like a glass of milk with MILO on top, cold or warm- I love that it is a great source of iron, calcium & B vitamins! My son is an extremely active 8 year old and is always on the go. Milo has been perfect for him as it is a delicious drink, which he loves and also contains 8 essential vitamins and minerals. 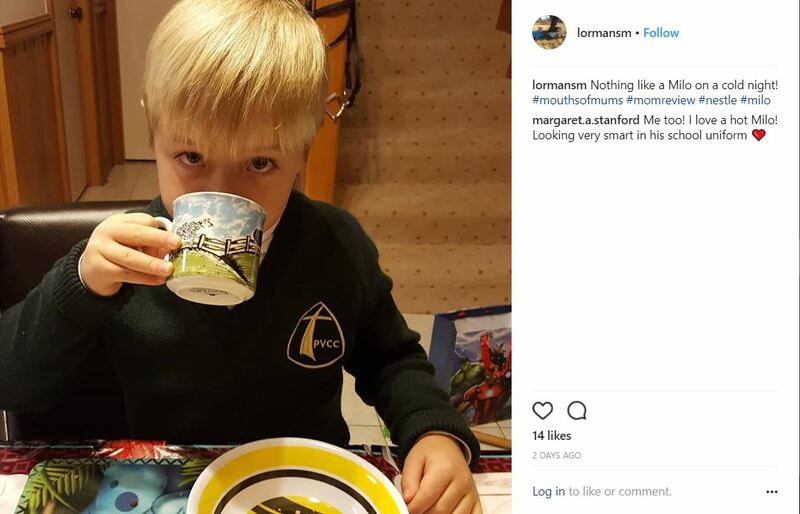 When I asked my son what he likes about it, he said it is yum and fills him up. Overall he really enjoys it and is an easy snack for him to make up on the go to training or whenever we have to leave the house in a rush. We love Milo in our house. And serve it in a glass of cold milk. It’s such a tasty treat to have and it’s an added bonus that it does some added vitamins and minerals. We also put it on top of vanilla ice cream. Yum!